It’s a beautiful day, and I was craving a Greek salad. Instead, I threw together what I had in my fridge and pantry and came up with this meal. And, as I’m chopping the veggies, they just so happened to form a heart! 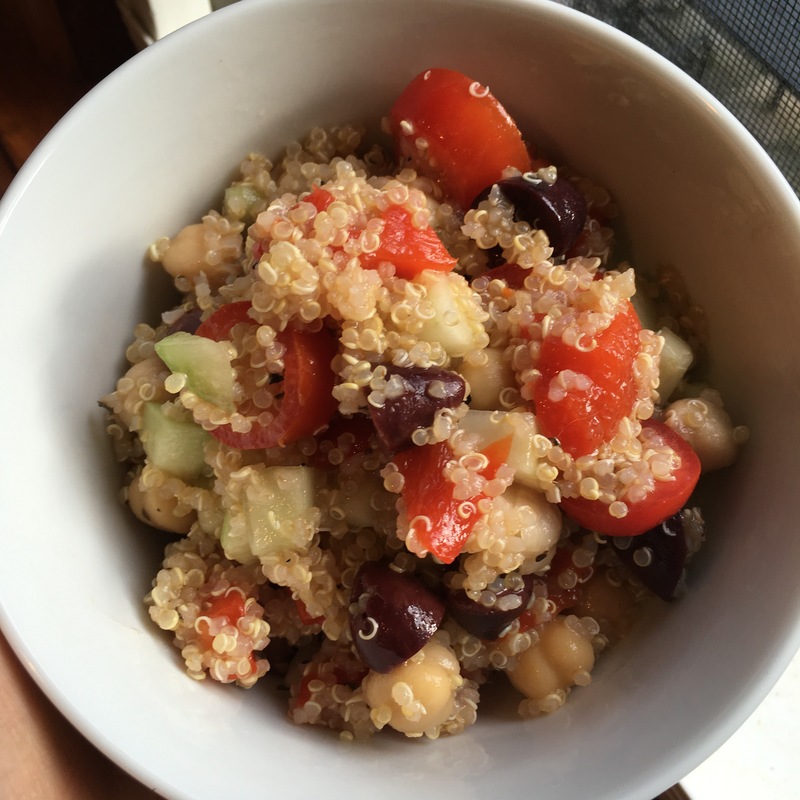 This recipe makes enough so you can eat it for lunches during the week too! Cook the quinoa according to the package. 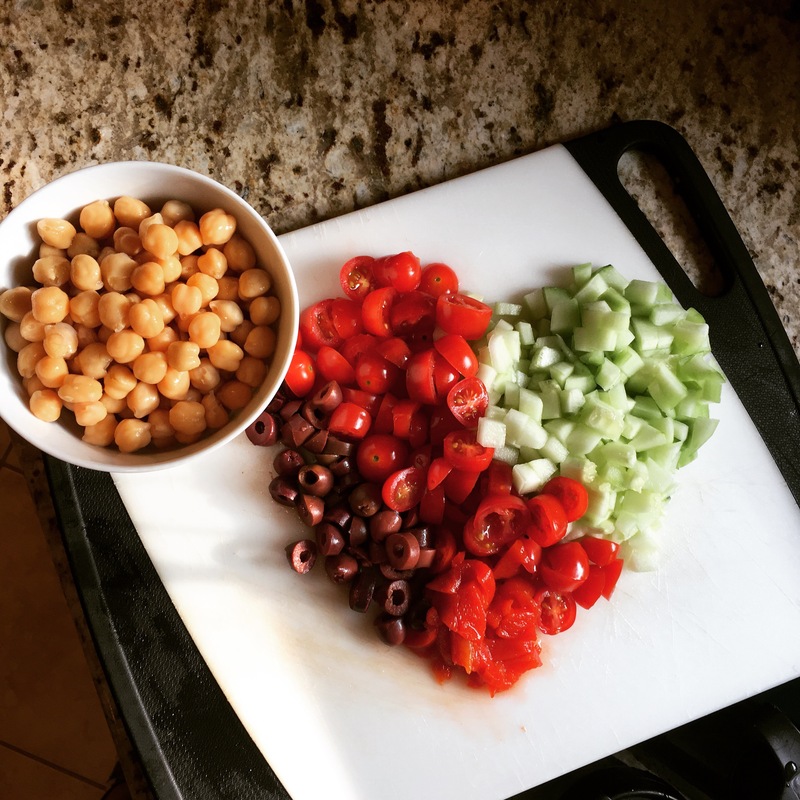 Chop all your veggies and have them ready on a cutting board and rinse and drain the chickpeas. Once quinoa is done cooking, transfer to a large bowl and stir it with 2 tbs of olive oil and some salt and pepper. Once the quinoa mixture is room temperature (takes about 15-20 min to cool) then stir in all the veggies and chickpeas. Add the remaining 2 tbs of olive oil, the juice of 1 lemon, red wine vinegar to taste and salt and pepper to taste. Enjoy!